Honda Africa Twin is one of the most popular high-end adventure motorcycles on the planet. It has been treated with different versions over the years to suit the individual needs of customers and now a CRF 1000L Rally has been unveiled to satisfy the rally-going enthusiasts. 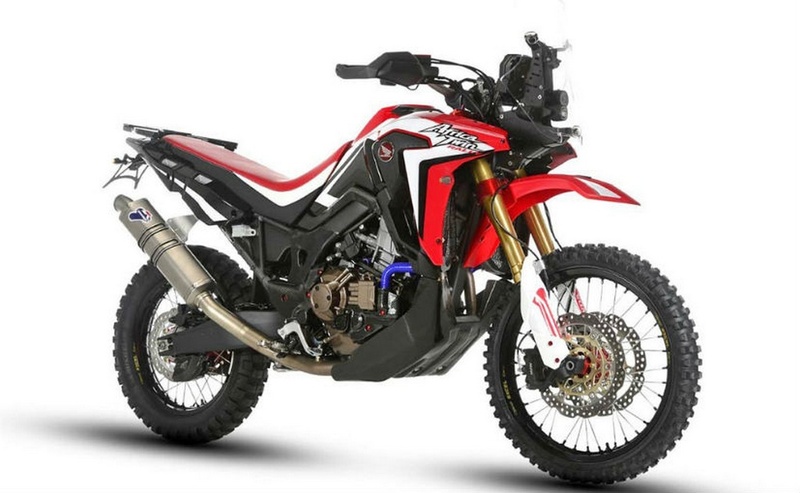 Offered in two variants, the Africa Twin CRF 1000L Rally comes with either manual or DCT transmission. The manual version is priced £18,745 (Rs 15.15 lakh) while the DCT costs £19,748( 15.97 lakh). 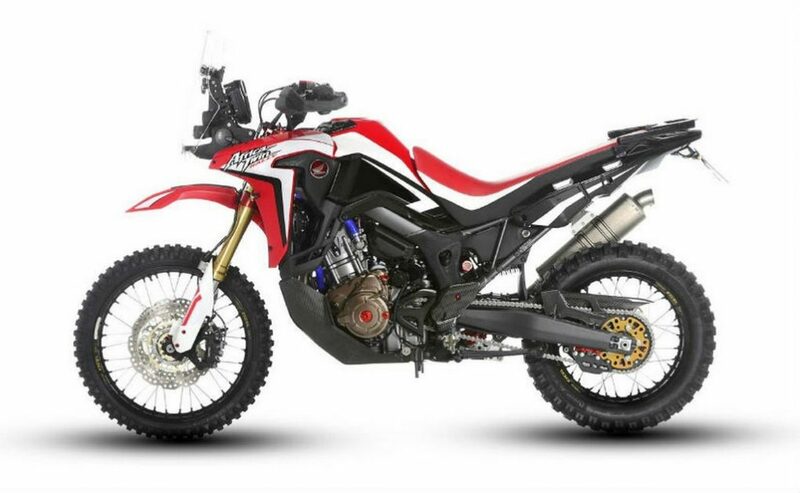 Based on the Africa Twin Enduro concept displayed at the EICMA show in Milan last year, the 1000L Rally’s powertrain remains identical to the standard Africa Twin. The 998 cc parallel twin engine has been carried forward but compared to the regular CRF 1000L it produces 5 more bhp. The Japanese manufacturer has given its customers an opportunity to install different engine maps through a smartphone app increasing the versatility of the CRF 100L Rally. It also features a titanium Termignoni exhaust system. Built for the rally, Honda has made several changes to tackle the rugged terrain surface. It gets skid plate for protection, a new windscreen and a revised long travel suspension setup. The off-road specific tyres would enhance the ride on uneven and difficult conditions as well. In order to bring the kerb weight down and increase durability and handling, Honda has replaced stock parts with carbon fibre components. 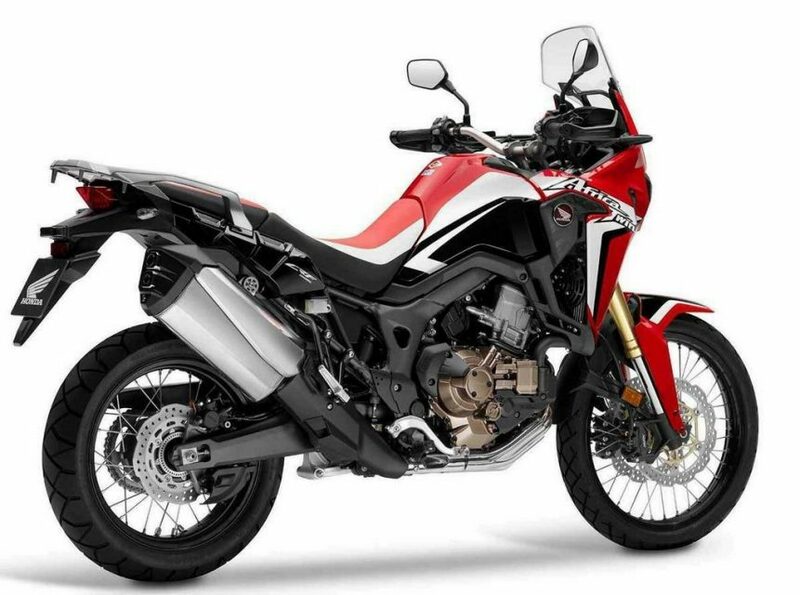 Honda is expected to launch the standard Africa Twin midway through this year in India. It debuted at the 2016 Auto Expo and is likely to be offered only with six-speed DCT auto ‘box. The parallel-twin 998 cc engine is capable of pumping out a maximum power output of 94 bhp at 7,500 rpm and 98 Nm of torque at 6,000 rpm.